Animals and hospitals benefit from a proactive approach to veterinary care. A new report released by the American Animal Hospital Association shows how a veterinary team’s emphasis on preventive care can enhance both pet and practice health. The 24-page publication, “Promoting Preventive Care Protocols: Evidence, Enactment and Economics,” is available at http://bit.ly/2Q5O92y. Laboratory tests conducted during a pet’s wellness visit often reveal the need for further investigation, the report noted. For example, follow-up care was found appropriate for 15 percent of adult pets, 21 percent of seniors and 42 percent of animals considered geriatric. The data was gleaned from more than 5,000 veterinary clinics’ practice management computer systems. 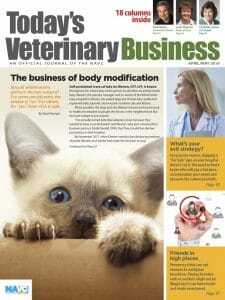 The report looked at how the financial health of one veterinary hospital spiked when clients were invited to sign up for wellness plans offering monthly payments. At a multihospital practice, laboratory income jumped when test fees were lowered and preventive screening recommendations were emphasized. 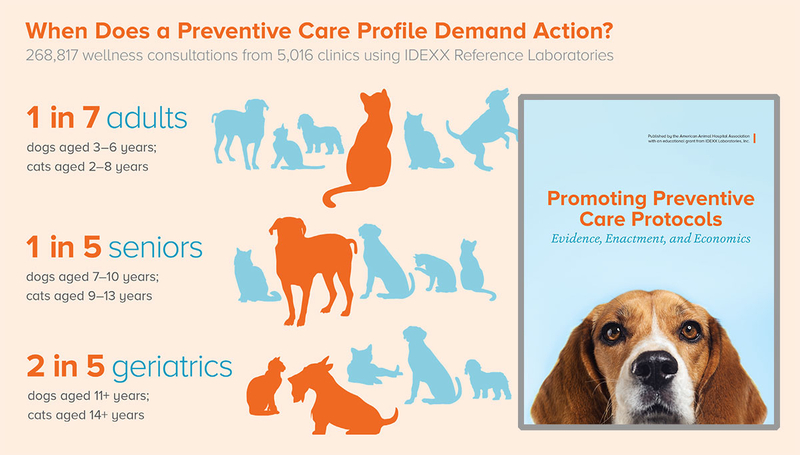 An educational grant from Idexx Laboratories Inc. helped support the report’s publication.